Just in time for the holidays, we’re revamping our wheel service offerings in a big way. Starting in 2019, Ranger’s lineup is going to look a lot different. We’re updating our color scheme to match our current car lifts and parts washers (Gunmetal Gray with yellow accents). 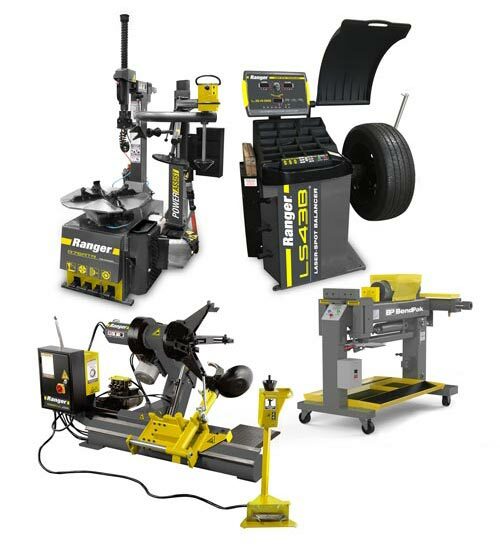 We’re also introducing two new tire changers that are specially designed to offer extremely busy tire shops more versatility and faster turnaround. We welcome you to explore what’s new at BendPak / Ranger in 2019 and beyond. All Ranger tire changers and wheel balancers—the majority of our wheel service offerings—are “going gray.” The new Gunmetal Gray color is much more modern-looking than our previous red. We drew a lot of inspiration for this change from the tech field, contemporary vehicles, entertainment equipment, electronics, etc. We noticed that the big, bright stand-out colors that were popular in the 1990s (which is when Ranger Products™ was launched) have basically gone out of fashion. Admittedly, what once made us look bold and innovated now comes across a bit dated. We’re excited about this new look, and we hope you are too! If time is money, then you need to save a whole lot of time to make a lot more money. That’s why we’re invigorating our product line with the R80EX tire changer by Ranger. This clever machine is a must-own tool for auto shops of all sizes. Its dual-assist towers ensure there’s no run-flat or stubborn bead you can’t pop with ease. Plus, this tire machine has a tilt-back design, so it retains its settings for each like set of wheels. It lets you change sets of tires faster than would be possible with swing-arm machines. Not least of all, this tire machine has a 3​4” capacity turntable with adjustable hardened-steel RimGuard™ wheel clamps to help broaden the service range. This lets you rapidly break beads and reset tires on virtually any wheel that rolls in your shop. 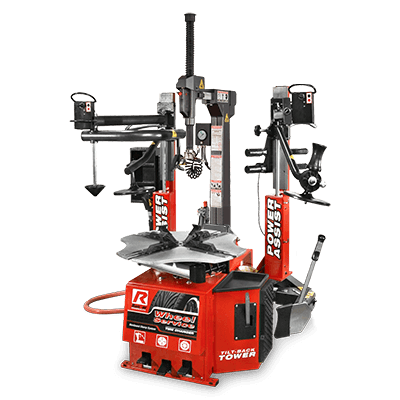 The amazing RV1 Wheel Guardian tire changer represents the latest in wheel service technology. It basically does anything for you, start to finish. A built-in, automatic wheel lift raises the tire while you hold it steady, dropping it onto the turntable at the top of the lift. You never have to touch a tire iron or lever, as a unique, reversible tool head will mount and demount the tire without ever touching the wheel. 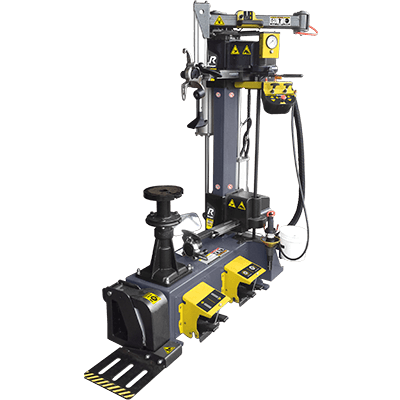 Techs love these machines because they embody the age-old wisdom in the phrase “work smarter, not harder.” The technology in this tire changer is simply unsurpassed by any other tool. From Target-Lock™ laser-spotting assistance that makes underside bead-tool positioning a cinch, to an intuitive easy view mirror that lets you see those hidden underside operations, to dozens of other standard features that are only available on Ranger’s RV1 Wheel Guardian. Thanks for following us, everyone! There’s so much more to come in 2019, and we can’t wait to share it all with you. Stay tuned for updates regarding our new on-site customer service center and shipping/receiving facility. If you’re just discovering BendPak / Ranger, you definitely found us at the right time, and long-time customers should know we’re just getting started.